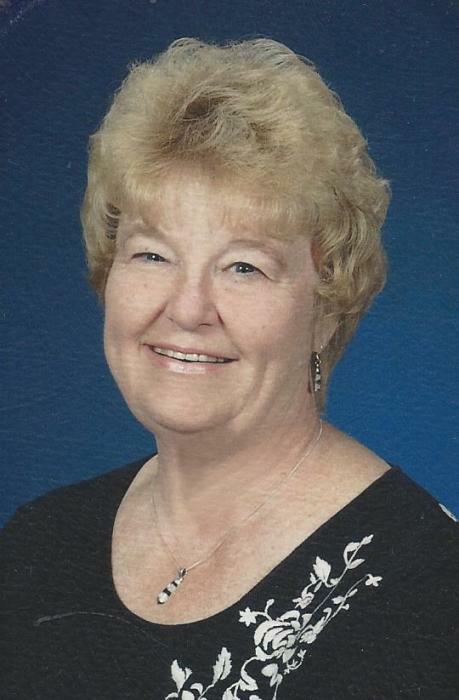 Obituary for Marjean "Jean" Mary (Karlen) Nowack | Peterson Kraemer Funeral Homes & Crematory Inc.
Marjean M. “Jean” Nowack, 76, Marathon, passed away peacefully at her home, surrounded by her family on Saturday, January 19, 2019, under the care of Aspirus Comfort Care and Hospice Services. She was born April 6, 1942 in Marshfield to the late Alexius and Lorraine (Boser) Karlen. Jean was a graduate of Marathon High School. On June 18, 1960, she married James Nowack at Sacred Heart Catholic Church in Cassel. Jean worked for 21 years at Club 29 and then at Menards for 19 years. Most recently, she was employed at Curves in Rib Mountain and Wilichowski Sales in Marathon. She was an avid bowler and received recognition for participating in the State Bowling Tournament for 35 consecutive years. Her greatest joy however, came from spending time with her family, her grandchildren and especially her husband Jim, who was the love of her life. Survivors include her husband Jim, Marathon; her children Deborah (Rev. Matthew) Mallek, Stevens Point, Russell (Gail) Nowack, Stratford, Rodney (Prudy) Nowack, Rib Mountain, Lisa (Rick Radabaugh) Nowack, Rosemount, Minn. and Greg (Kellie) Nowack, Merrill; grandchildren, Daniel (Amanda) Mallek, Nathan (Traci) Mallek, Mikayla (Andy) Schultz, McKenzie Mallek, Ethyn, Hailey and Anna Nowack, Josh (Kristin) Cebula, Laura (fiancé Josh Kralcik) West, Scott (Courtney) Lang, Phillip (Michelle) Lang, Jon Lang and Adam Radabaugh; great grandchildren Emory, Ira, Roman and Theo Mallek, Devin and Jaxten Moore, Emma and Ella Cebula, Lauren West, Samantha, Kristian, MacKenzie and Tyler Lang; great great granddaughter, Addison; brothers, Myron (MaryAnn) Karlen, Ronald Karlen and Michael (Roxanne) Karlen; sisters, Lynette (Don) Hieronimus, Patricia Karlen and Beverly (Michael Sommer) Karlen. She is further survived by brothers-in-law, Richard (Bernell) Nowack and Mark (Karen) Nowack; sisters-in-law, Jane (Norbert) Myszka and Nancy (Steven Drexler) Schoenfuss; many nieces and nephews as well as countless precious friends who loved her dearly and will miss her deeply. Besides her parents, Jean was preceded in death by an infant daughter, Brenda Sue; niece, Bonnie Karlen; father and mother-in-law, Arthur and Irene Nowack; sister-in-law, Lynn Karlen, brothers-in-law, Jerald Nowack and Roy Nowack; grandson-in-law, Jared West; granddaughter, Ashley Moore; and nephew, Todd Hieronimus. In lieu of flowers, memorial donations may be directed to St. Mary School, Marathon. The family would like to express their appreciation to Dr. Hamied Rezazadeh, Lori Schutte, APNP, and Mary, Tanya and Shelly from Aspirus for the kind and compassionate care given to Jean. The family would also like to extend a special thank you to Rev. Msgr. Joseph Diermeier for the numerous visits with Jean both at the hospital and at her home.